You are here: Home » Blogging » Blogging During Holidays : Let’s Get You Started! Blogging During Holidays : Let’s Get You Started! So what is blogging really all about? First off, let me tell you that it’s a lucrative business to blog and that blogs are easy to set up and manage. Imagine getting paid to write about subjects that interest you, whenever you want, wherever you are! The flexibility involved allows you to maintain your blog at your own pace, and with Internet cafes easily accessible all over the globe, even your vacation won’t get along the way of your blogging… Or should I say: in spite of your blogging won’t get over the way of your vacation? First, you need to get yourself a blog. There are several options – host a blog on your own domain or get a free one. For starters, let’s talk about the free blogs. You can obtain one at http://www.blogger.com or the newer (and better!) http://www.wordpress.com. 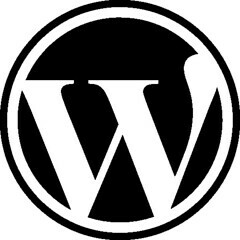 WordPress is a free blog engine that is robust and infinitely expandable. Blogger is actually owned by Google, so it will be detected by Google’s radar faster, and you will be indexed more quickly. WordPress.com, however, is a relatively new option, so I have no comparison to the speed of getting indexed by search engines. At the same time, WordPress is better in the sense that it has more advanced features such as Trackbacks and Categories. You can also manage your sidebar links more efficiently (more about this later). Permalink – Permalink stands for a permanent link, which is a URL (Uniform Resource Locator) that leads to an individual post that you make in your blog. Trackback – when you post about someone else’s blog post elsewhere, your post will show up in their “trackback” section. This feature, however, is not available with a Blogger account. Pinging – blogging seems to be paired with pinging almost every time either one is mentioned nowadays. Pinging is actually the action where a certain aggregator is notified whenever your blog is updated, so that the aggregator may show the newest post to your blog on their website. This is a useful way to gain traffic. Recommended Pinging site is this – Pingler. Next, let’s look at the type of content that’s suitable for your blog in order to make it profitable. You need to understand that there is no fixed scope that your blog should have, which means you can write about whatever you’re interested in. Mind you, the difference between a profitable blog and a non-profitable one is the way you write. What would you prefer? Reading your university professor’s lecture notes or the latest dating by your favorite author? People prefer to read “light” items most of the time. When they check your blog, they are not only looking for information, but they are also looking for information that they can access easily. So, to attract more visitors as well as to keep your current readers coming back for more, it’s very important to add a personal touch to your blog posts. This can be done by simply imagining that you’re talking with your own friend. An extra bonus for your readers would be a great sense of humor, so try to add funny comments in your articles where relevant. Having a distinctive personality in your blog will make a world of difference between your blog about gadgets and all the other blogs about gadgets out there. This is a lot like creating your own brand name, where people immediately remember your blog’s name when they need information about gadgets, just like how people often think of McDonald for fast food or Nike for sportswear. When a word gets around about your command of blogging, others who need to know about blogging will start to seek you out!